You have got to love English weather, we’ve had a pretty solid summer season so far with quite a few incredibly hot days! As a nation we are pretty terrible at being hot so now its a little cooler we can make the most of the weather with a lovely day out! As I said in my last blog, I’m not an outdoorsy person, I love my home comforts, but it is so important to take time to enjoy the outside and some of the beautiful places we have here! I work in the Heritage sector so I have always been lucky to work in some truly stunning places. I used to work for the National Trust and the view and awe inspiring atmosphere really boosted my mood even though it wasn’t a job that I always looked forward to. So top tip for this week, if you’re feeling rubbish GO OUTSIDE. Take some time for yourself, away from technology, and enjoy the simple things! 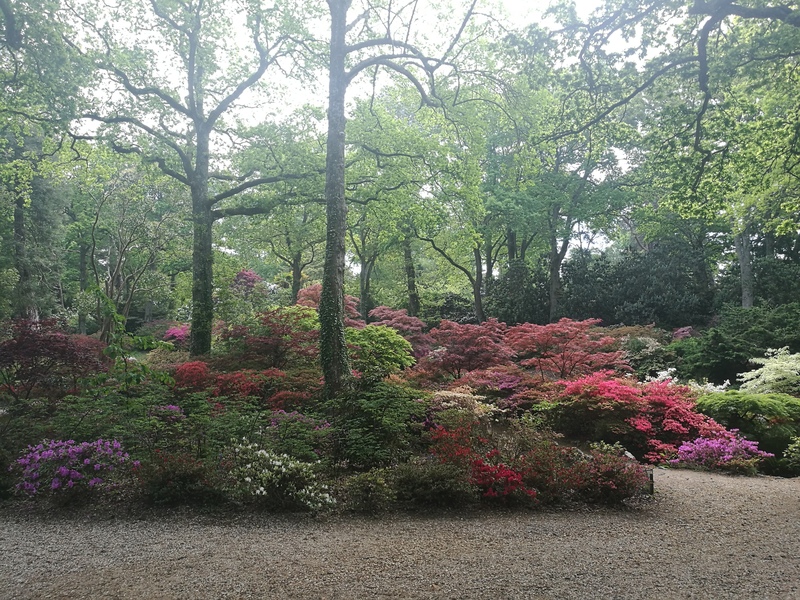 Exbury Gardens near the New Forest is a truly stunning place. They have a few themed gardens within the site, each one beautifully landscaped. 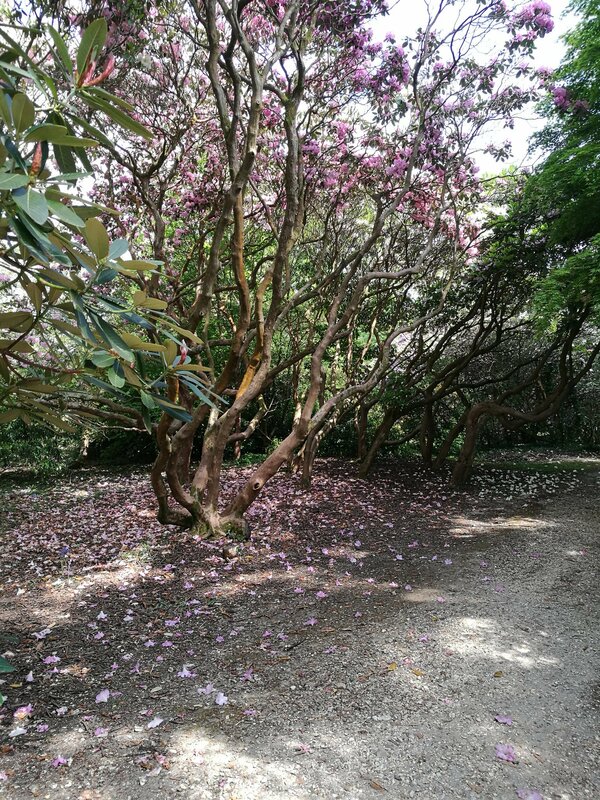 The pathways through the site are all well maintained but when you enter each garden through the tree lined paths it makes you feel like you’ve just discovered it. We went midweek and were probably the youngest people there! Their target audience is really familes and the elderly but we actually really enjoyed it! The tea rooms there are fantastic by the way, they have a lovely cream tea but also offer savoury, it really was delicious! There is also plenty of space for picnics and areas for kids to run around as well as more secluded spots. 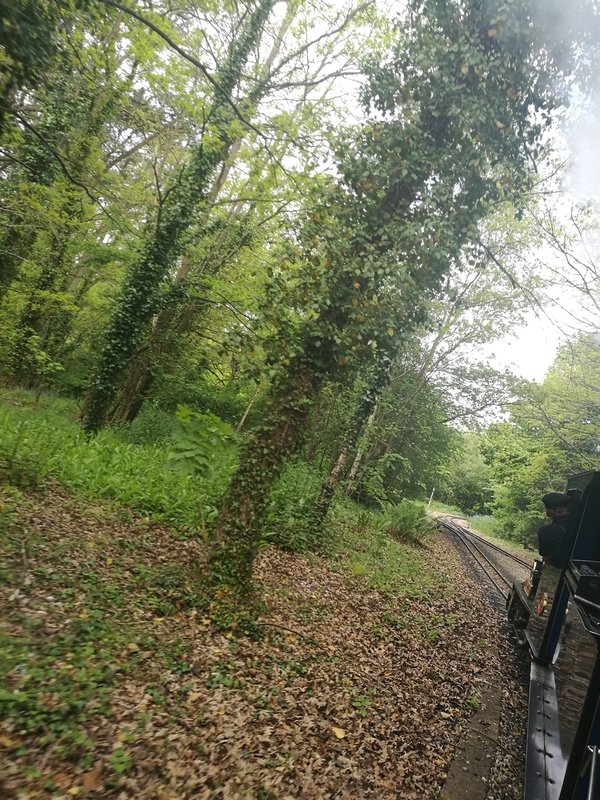 If you’re going with kids or happen to be a steam enthusiast checkout their mini steam railway, it is an extra to your ticket and takes you on a little circuit to an area you can’t access on foot. Its quite a nice little ride but just having a leisurely wander through was good enough for us. 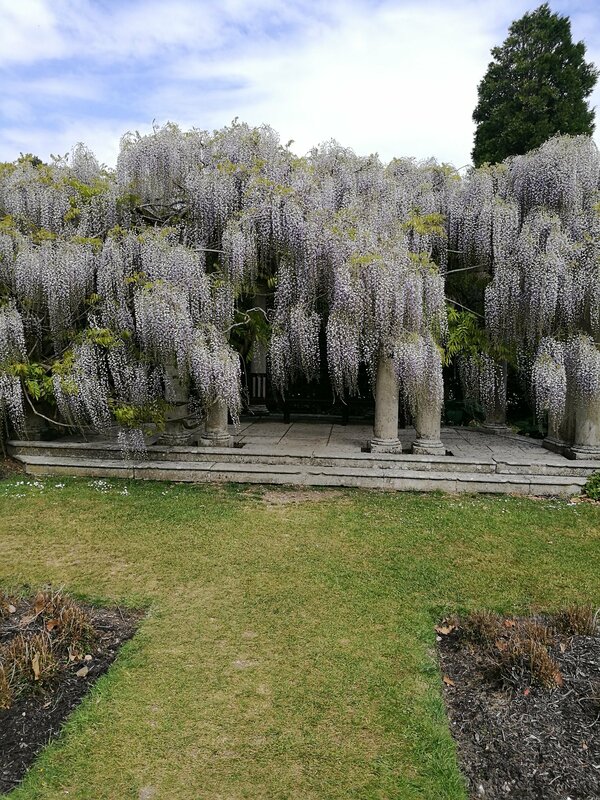 The wisteria in one of the more secluded areas was so magical when we went, from looking at their Twitter it is now fully green! It literally is an Instagram jackpot! They also run a full program of events throughout the year with lots of activities for kids as well as exhibitions and live music. Dogs go free every day but they also have a dog friendly day coming up in September where owners get 20% off their ticket if they bring their dog. We’ll definitely be going back with our two for this! Take a look at their website to find out more. I’d definitely recommend a visit if you’re a fan of parks and gardens, but also if you enjoy photography, horticulture, picnics or if you have little ones who need to run and use up some energy its the perfect setting!